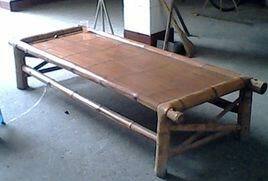 bamboo furniture is made of bamboo wood as the main material and with other accessories materials to make other various furniture if necessary. Bamboo panel is a plate and square material made of a piece of fine bamboo piece processed and processed by glue. Bamboo plate production usually uses bamboo with a large diameter of 4-6 years, cut off by saws, divided into slices, rough planer, high temperature cooking, high pressure carbonization, drying, There are dozens of processes such as planer, color separation, embryo compaction, sand light, etc., which have excellent physical properties, and have the advantages of small absorption expansion coefficient, no dry cracking, and no deformation. 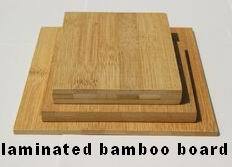 Bamboo board, also known as bamboo board, bamboo board, bamboo board, bamboo furniture board, bamboo board, bamboo integrated material. The surface is similar to wooden plate, carbonized bamboo plate, beautiful surface, fresh bamboo patterns, natural color, pleasant bamboo, elegant and elegant texture, with a high degree of fragmentation, elasticity and toughness, according to the production process divided into original bamboo plate, carbonized bamboo board, and zebra bamboo board; According to the bamboo strip structure, it is divided into flat bamboo plate, side bamboo plate, industrial bamboo plate, vertical and horizontal bamboo plate, bamboo single board and multi-layer board. In order to fully remove sugar and fat from bamboo and enhance the strength and stability of bamboo plates, the high temperature, high pressure and hot steaming and carbonization of bamboo wood can make the glycoliferous carbon in bamboo fiber tissue and fiber coking, which can ensure adequate insecticide. sterilization, The hardness and strength of the long bamboo plate are greatly increased to enhance the mildew resistance of the bamboo plate. Bamboo plate can be customized in the following sizes, length & lt; 2550mm, width & lt; 1250mm, thickness 2mm -800mm, in addition to our conventional specifications are 2550 * 1250, 2000 * 1000, 2000 * 500, 2000 * 600, 2200 * 600, etc., conventional thickness is 3mm, 4mm, 5mm, 6mm, 7mm, 8mm, 9Mm, 10mm, 12mm, 14mm, 15mm, 16mm, 19mm, 20mm, 25mm, 30mm and so on. Bamboo plate adhering to the "bamboo can replace wood, bamboo can win wood" green industry concept, using natural, four to six years of high-quality fresh bamboo as Raw Materials, cooking at high temperatures, high-pressure carbonization treatment, constant temperature drying, desugar thorough, full carbonization, insecticide sterilization, The scientific superposition of bamboo milling tablets is combined with environmental protection glue to form plates of different specifications under high temperature and high pressure. The products not only retain the inherent high density, toughness, strength and other excellent characteristics of bamboo, but also maintain the natural texture of bamboo. Fresh and elegant, Beautiful and comfoRTAble. 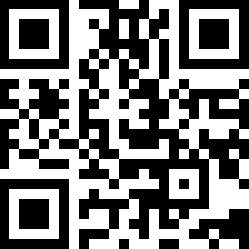 Its environmental protection index meets the European E1 standard for export and is the best raw material for bamboo crafts and bamboo furniture. It caters to the modern people's new trend of returning to the original, advocating nature and environmental protection.